This is the first London exhibition devoted to photographs of Asia by legendary Scottish photographer and writer John Thomson (1837-1921). Between 1862 and 18 72, he made many journeys to Siam, Cambodia and various provinces of China. Photographs from these trips form one of the most extensive 19th century records of any region. The range, depth and aesthetic quality of John Thomson’s vision mark him out as one ofthe most important travel photographers. Working only two decades after the invention of photography, cameras then were large and heavy. Images were exposed onto glass negatives and these had to be done in complete darkness, on location, in a portable darkroom tent. Thomson travelled with many cumbersome crates, glass neg atives and highly flammable and poisonous chemicals through difficult terrain and insect-infested jungles, sometimes to regions where a white man had not been seen before. It is therefore all the more remarkable that Thomson was able to make photographs of such beauty and sensitivity, capturing the individuality and humanity of the diverse people of Asia, whether royalty or street vendor. The body of work obtained by Thomson in Asia established him as a pioneer of photo- journalism and one of the most influential photographers of his time. His collection of 700 glass plates travelled back with him to Britain in 1872 and since 1921 has been housed and preserved at the Wellcome Library, London. 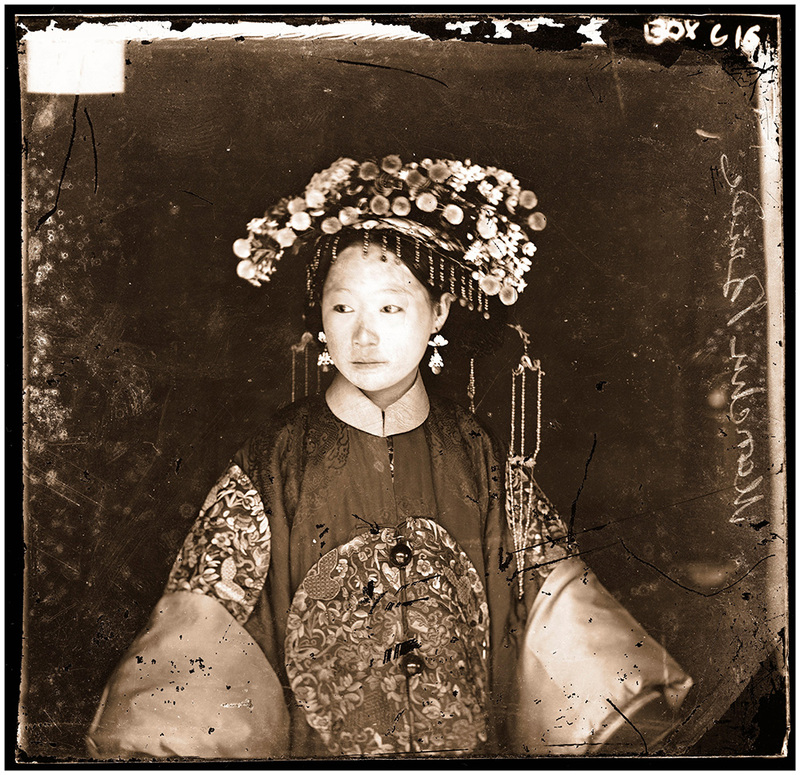 These 150-year- old glass negatives are in excellent condition allowing this exhibition to showcas e very large, in some cases life-size, prints.These will be presented alongside a small selection of Siamese court objects and late Qing dynasty garments. An article on Thomson ‘Travel Images: Mr Thomson of Edinburgh’ by Deborah Ireland was published in the Winter 2017 issue of Studies in Photography.